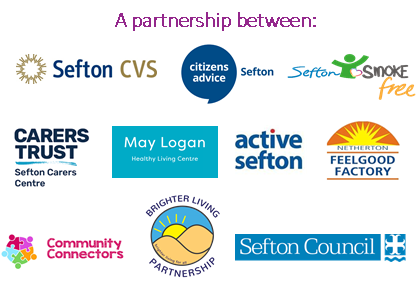 As part of its offer, Living Well Sefton manages the Community Resilience Grant which is awarded to local community groups and individuals for projects aimed at supporting people to improve their health and wellbeing. The fifth round of funding has now closed and we are looking forward to working with the groups and individuals who were successful in securing a grant with the aim to improve their local communities and help to reduce social isolation. More than 70 projects have so far been funded through the grant. These planned to improve health and wellbeing by reducing social isolation for older people, increasing people’s confidence, self-esteem and fitness as well as helping them build awareness of healthy cooking and nutrition, and encouraging the whole family in developing activities together. Watch this space – as details of another round of funding will be announced later this year.